Cheung Chau: A World Away — . A ferry ride away from Hong Kong’s congestion is the fishing village of Cheung Chau. As soon as you step off the boat, you feel it. The slower, gentler pace of life is almost palpable. Here’s just a taste of what you’ll see in our story titled, Emerald Harbor. Cheung Chau’s main street is filled with cyclists and pedestrians. There are no cars to be found on this 2.5 square mile island except for a couple of emergency vehicles. It’s amazing how this one aspect can make you feel as if you're a world away from Hong Kong's constant frenzy. 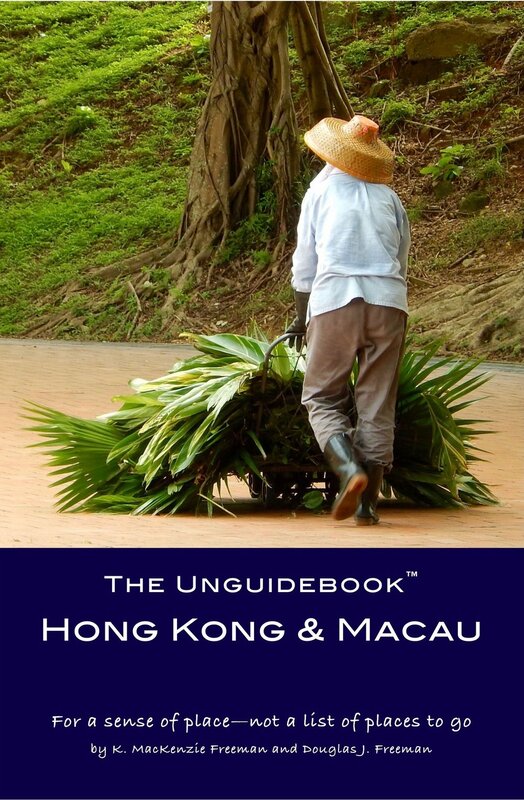 Learn more about this and other islands in our book The Unguidebook Hong Kong & Macau. Every story in each of our books gives a modern twist to the familiar phrase, “A picture is worth a thousand words.” These stories are each just 1,000 characters long and features an original photograph.